The inaugural meeting of the Nature, Environment and Conservation Book Club will be on Monday, January 11, 2016 from 7:00 p.m. to 8:30 p.m. in Plymouth. Meetings will be held each month on the second Monday at the same time. 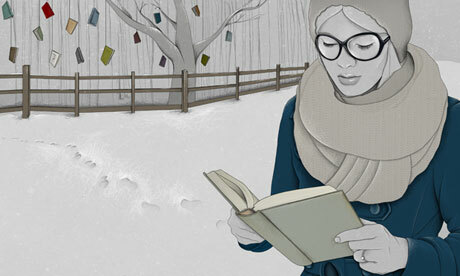 To sign up for the book club, scroll to the bottom of the page. After signing up, you will receive more information by email. 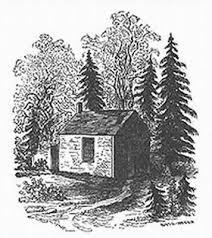 For our January meeting, we will read five selections from American Earth: Environmental Writing Since Thoreau, edited by Bill McKibben and published in 2008. 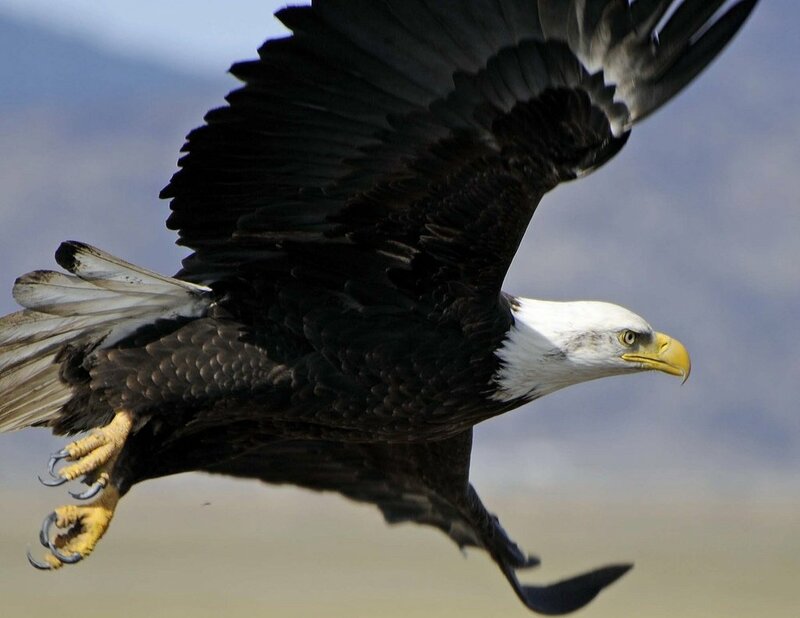 In February, we will read H is for Hawk by Helen MacDonald; in March, Last Chance to See by Douglas Adams; and in April, Greentown USA: The Handbook for America’s Sustainable Future by Thomas Fox. After that, we will read books picked by the members of the book club. To start off with a firm grounding, we will examine the roots of nature and environmental writing in the U.S, reading excerpts by the three influential American authors who help lay the foundation of the modern environmental movement: Henry David Thoreau, Aldo Leopold and Rachel Carson. We will consider the place of nature and wilderness in the world and our lives through two more authors, Bill McKibben, author and environmental activist, and, Barbara Kingsolver, an evolutionary biologist turned writer who addresses scientific issues and their effects on us primarily through fiction. For the selected readings and study questions, click here. 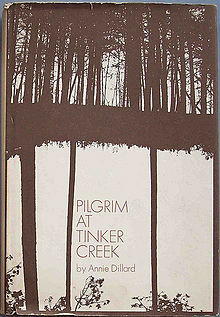 Annie Dillard’s now classic Pilgrim at Tinker Creek is our second title. It is many things, among them, a glorious soliloquy on the joys and horrors of truly seeing the natural wonders that surround us. Published in 1974, it won the Pulitzer Prize in the following year and has inspired and shaped the perspectives of many environmentalists. 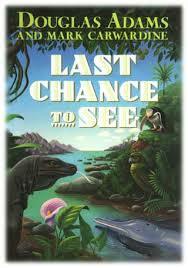 In our third month, we will read the serious and humorous Last Chance to See by Douglas Adams. In search across the globe for the world’s most endangered animals, Adams and his co-author, zoologist Mark Carwardine, amass rollicking, laugh-out-loud adventures tracking fascinating creatures at the edge of extinction. In describing these howlingly funny encounters with animals and especially the people who study, poach or worship them, Adams sneaks in important messages about conservation, ecology and the importance of biodiversity. This may be the funniest read you will ever have about one of the most serious concerns of our time. After reading about the problems wrought by humans, in the fourth month of the book club, we will read about how one town has gone about solving some of them. Green Town USA: The Handbook for America’s Sustainable Future by Thomas Fox describes how Greensburg, Kansas, leveled in 2007 by tornados, rebuilt itself as an environmentally friendly town. Using the principles of green building and sustainability, the town is home to LEED-certified city buildings and enough wind turbines to run the city and sell electricity to energy companies. 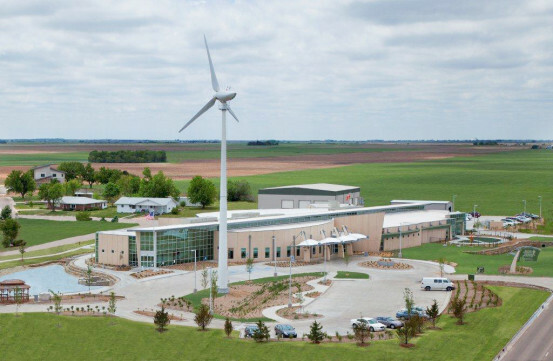 The Greensburg Hospital is LEED certified with a wind turbine on site. 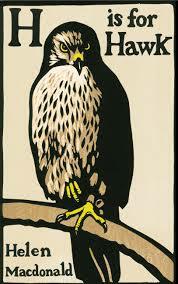 At our fifth meeting we will discuss the highly acclaimed and lyrical memoir by Helen MacDonald, H is for Hawk. Winner of several prestigious awards and rated one of the New York Times Book Review’s 10 Best Books of the Year (review here), this book relates one woman’s journey through grief with a captive-bred goshawk as companion. Replete with lyrical passages about nature and birds of prey, H is for Hawk also examines the role of the wild in our daily lives, falconry’s intrinsic ethical dilemma, and the bond between humans and animals.